Expert on Breast Cancer Gets "New Intellectuals Award"
Dr. Paik Nam-Sun calls himself a "super surgeon." He does not hesitate to describe himself as a top expert when it comes to breast cancer. Recently Dr. Paik became one of the recipients of the "New Intellectuals Award" by the Association of New Intellectuals in a year-end ceremony held at the Sejong Center for the Performing Arts in downtown Seoul on Dec. 5, 2011. He was recognized for his social contributions to the society in general as well as to the medical field. An extrovert, the outgoing surgeon has been actively involved in social activities. A multilingual Paik rubs shoulders with foreign friends in spite of his hectic schedules. Dr. Paik is arguably one of the busiest medical doctors in South Korea. Early in the morning or late in the evening Dr. Paik spends his off-duty hours attending seminars or lecturing other doctors. He also gets invited to the diplomatic events including German and Argentine embassies in Seoul. Has spent 40 years in the medical field since he graduated from Seoul National University Medical College in 1973. He earned his doctorate degree at Seoul National University. He went through breast cancer courses, and received clinical doctor's training in the United States. 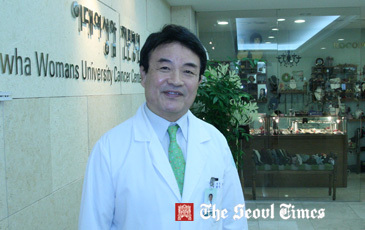 Currently he is the director of Ehwa Womans University Cancer Center for Women, the sole hospital in the nation for that purpose. Dr. Paik's professional achievements are outstanding. He was placed on a list of the global top 100 gastric and breast cancer surgeons in 2006 by the International Biographical Centre in Cambridge, England. He became the nation's first surgeon who successfully performed the "breast conserving surgery" in 1986. 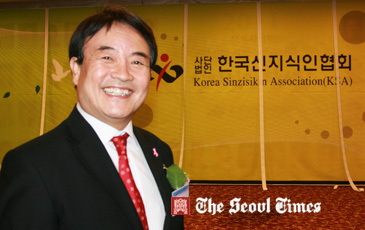 He served as president of The Korea Breast Cancer Society and Asiatic Breast Cancer Society. He was also the standing director of Korean Hospitals Association. Presently, he serves as president of Korean Society for Clinical Cancer Prevention, and as vice president of the Korean Cancer Society. He practiced his ingenuity in coining the medical catchphrase in his efforts to better serve the patients. He invented the C-SMART slogan which has become popular in the mouths of many of his patients. Thus Ehwa Cancer Center became known as a C-Smart hospital. The C-SMART initials, C for creative confidence, convenience and comfort, S for science and speed, M for management, A for alumni and alternative for research and revival and T for trust. Dr. Paik notes the phrase “we are always hungry for knowledge, staying warm with patients.” He believes that a super surgeon is one who not only concentrates on one field for example surgery, but also understands molecular genetics and is a good physician. According to Dr. Paik communication ability is very crucial to become a good doctor, he thus boasts of his multilingual ability as he can speak Korean, Chinese, Japanese, Russian, and English. Apart from making money Dr. Paik believes that a good doctor strives to earn patients’ respect and also makes contributions to the society. He believes that being a doctor is a calling from God . Despite his busy schedule, he makes time for leisure a necessity given his entire work pressure. Outside the work environment Dr. Paik is a lover of music specifically jazz. He has performed alongside famous jazz singers on five occasions, he was invited to sing to entertain guests during his inaugural ceremony, and also held performances with first-generation jazz musicians and also with a German jazz group. Apart from singing he loves playing golf and also writing poems .